Get FLAT 50% CASHBACK on Commision made by SCANCOST and Paid back to you in your PayTM Wallet in 3 working days. Merchant pay Commission to SCANCOST known as affiliates for referring users to the merchants website and make a purchase. and we share 50% of commission with user. 3. Receive Cash to your PayTM Wallet in 3 working days. Installation & Demo Details We'll facilitate the installation and demo through authorized service engineer at your convenience. 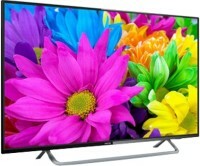 All prices of Lloyd 122cm (48 inch) Ultra HD (4K) LED TV(L48UKT) in the above table are in Indian Rupee. 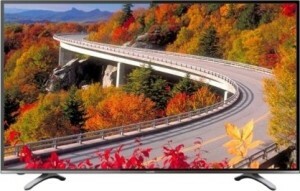 The Lloyd 122cm (48 inch) Ultra HD (4K) LED TV(L48UKT) is available in FLIPKART TATACLIQ. The lowest price of Lloyd 122cm (48 inch) Ultra HD (4K) LED TV(L48UKT) is 40599 in FLIPKART. The price is valid in all major cities of India including Hyderabad, Bangalore, Pune, Mumbai, Delhi, Kolkata Chennai, Chandigarh, Jaipur, Bhopal, Nagpur, Ahmedabad and Visakhapatnam. Please check instructions at the specific stores for any deviation. SCANCOST is not responsible for the products sold by any of the sellers above. 2.5 Average Based on 20 Ratings and 8 Reviews. Dear..very mch interested to buy immediately...but worried by reviews,,,plz guide...Ali Sir. 4k TV at a good price, only thing not mentioned in the listing is that the TV turns on automatically with the plug confirmed this with customer care later to ensure its not an issue with the piece i got. Easy setup and good n fast response from Lloyd team on the installation and response to my auto on query. WANT TO PURCHASE PLZ ANY ONE SUGGEST ME ASAP! I WANT TO PURCHASE THIS TV DUE TO LOW IN PRICE AND MORE WARRANTY. PLEASE SUGGEST ME I BUY THIS OR EITHER SNY 43W800D. SCANCOST is Indias leading and price comparison website, where user can scan the best cost of the product online accross multiple sellers. SCANCOST Online shopping is all about providing the users a convenient experience with maximum information about the Products to get best prices. SCANCOST provides detailed description of Products and its price, specifications, features, reviews & ratings, photos and deals offered by online sellers like Amazon, Flipkart, Snapdeal etc. so that end user can check the price and offer on product available in all major sellers in single website. SCANCOST was launched with an objective to simplify people decision-making by creating a platform that allows anyone to compare prices across multiple online stores like Flipkart, Amazon, and Snapdeal and offline ones like Croma and Bajaj Electronics. This way people can find the best price or choose the closest store, all on a single window.